Photographer John Stillwell took the images at the ‘sensational butterflies’ exhibition at London’s Natural History Museum, where Kate is a Patron. 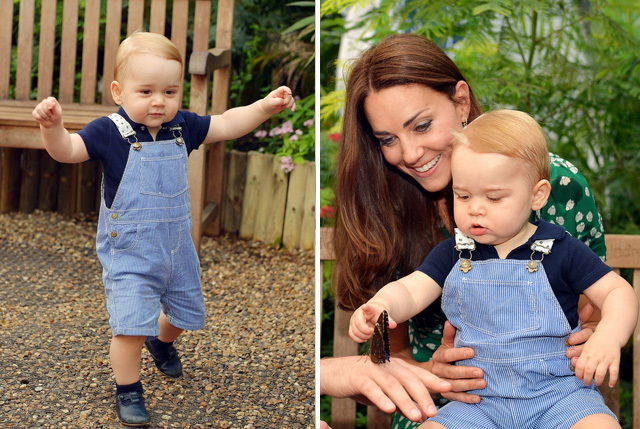 We love George's classic summer style wearing Petit Bateau's striped dungarees and matching polo neck baby suit all in his signature blue colour. It is rare that we see the little toddler without a pair of Early Days 'Alex' pre-walkers and this occasion is no exception, he can be seen wearing what looks like a very worn in pair with coordinating socks. 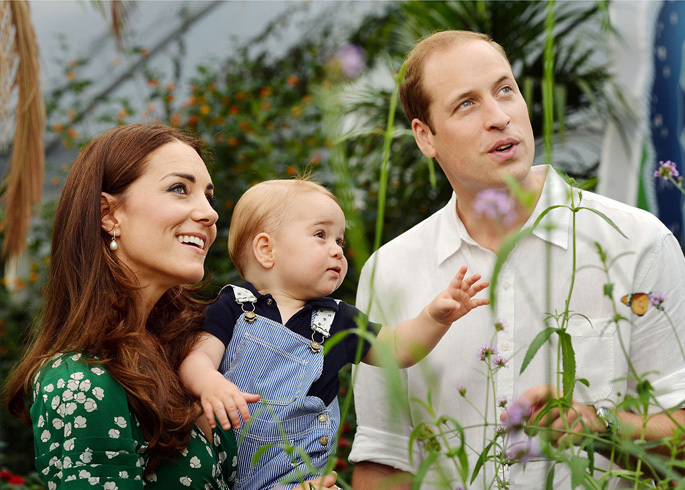 George looks absolutely adorable in these beautiful images, and we'd expect nothing less from the adorable mini monarch on his first birthday!